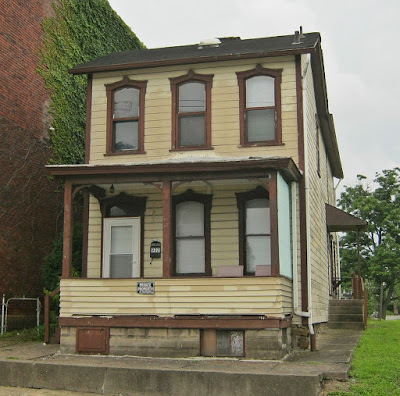 Just a couple cute little 19th century McKeesport homes for you to admire. The first is on Union Ave., the other is on Riverview Ave. These houses are lucky to have their original clapboards and decorative millwork intact. 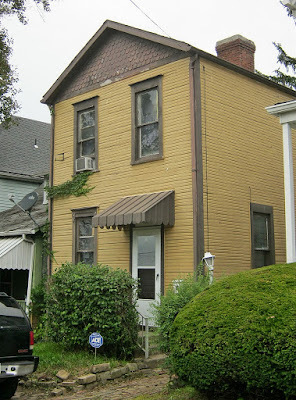 Wood frame houses from the 19th century have often been re-sided with vinyl or aluminum, with their original millwork removed. Both of these homes also retain their original wood windows with wavy glass. Many home rehabbers remove original windows, which can be repaired and last forever, for inferior vinyl replacements. The vinyl replacement windows, unlike wooden windows, have a shelf life. Their originality makes these two houses all the more special and rare. There are many affordable small historic homes in the city of McKeesport.